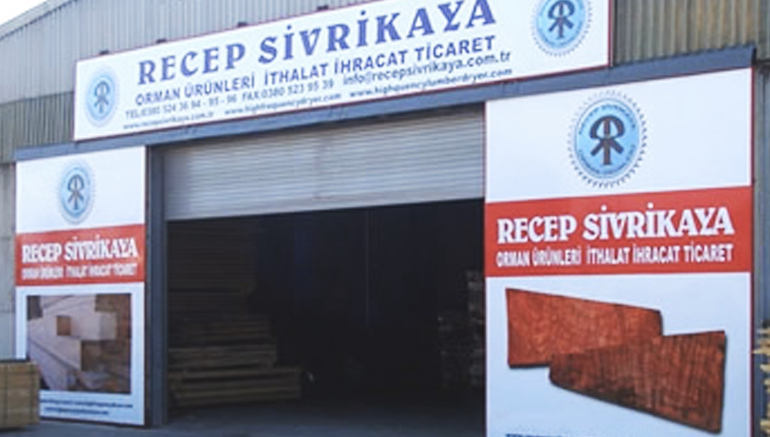 Recep Sivrikaya Forest Products Import Export is established by Recep Sivrikaya in the center of Düzce in 1989, and operates in forest products sector. In parallel with the development of technology, our company has added new production items to its service area. After many years of work, we produced High Frequency Vacuum Drying Oven (HF + V) with full automation control in 2011. By increasing the drying capacity to 25 m3 level, we succeeded to enter the market. With the efforts of our R&D department, which has been established in order to turn our experience into a sectoral benefit, we became one of the industrial firms that are supported by KOSGEB. With new product design, production techniques and production programs, we made achievements to support our brand. Today, our company continues to serve fast and safely with high quality work in forest products sector, especially in production of gun stock blanks made from Turkish Walnut.